Strain - Sourlope - High. How Are You? 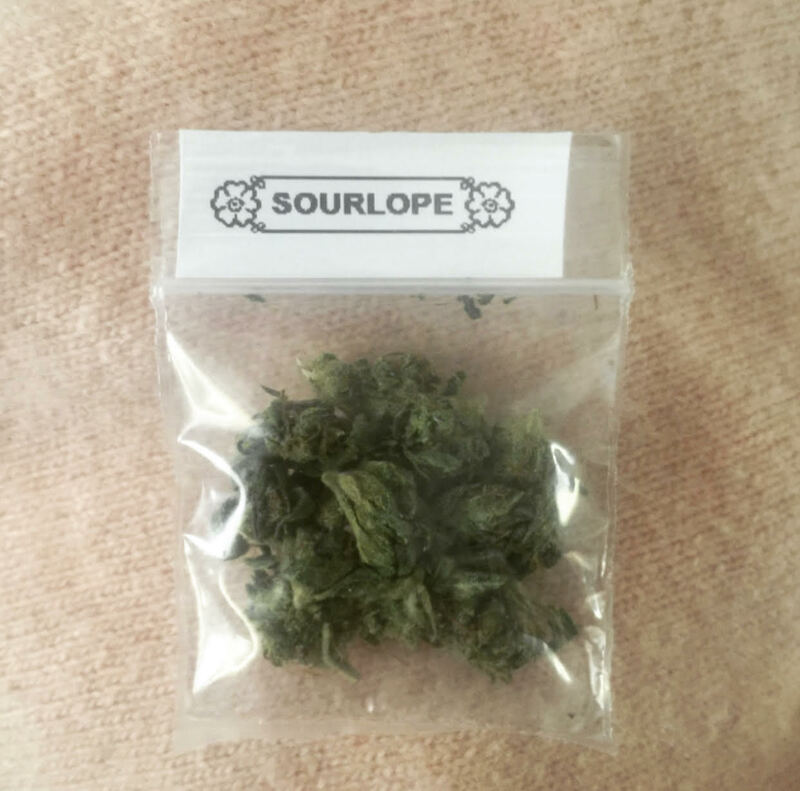 Sourlope is a sativa dominant hybrid of NYC Diesel (another sativa dominant hybrid) and Cannalope Haze (a citrus-y sativa strain). The only thing keeping Sourlope from being my favorite strain is how drying it is. I’m already a deeply dehydrated person. I’m trying to do better by making sure that I drink at least two glasses of water a day (baby steps!) So when I smoked two bowls of this strain I immediately noticed that my lips and eyes felt dry. Over time I had to grab a glass of water because it made me super thirsty. Dryness aside, I can’t tell you how great Sourlope is. It just made me really happy and silly. It’s definitely a giggle inducing strain and perfect for times where you want to be high and relaxed but also want be able to concentrate. While high on this strain I’ve had several writing sessions and it’s been good for opening my mind, getting over writer’s block, and letting ideas flow. The key is remembering to write the ideas down! It smells strong but very tropical and has a very fruity yet skunky taste. Overall, I highly recommend this strain, but be sure to have some Visene, Lip Balm, and H2O on deck!